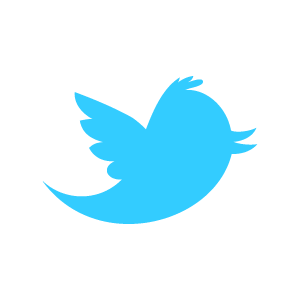 The first day of trading for Twitter (TWTR) yesterday was not a bad day for Twitter fans. As I predicted yesterday, the stock skyrocketed, and reached as high as $50,09, before closing the wild and crazy session at $44,90. That`s not bad considering the IPO share price of $26 a share. Many people will follow the stock for the next trading days, because the stock price is based on the earnings from the future. This reminds me of the tech bubble from the 90`s. Draghi cut the interest rate yesterday, and that is good for the financial system. But, It tells us that it is something in Europe that is terribly wrong. When the interest rate is low, you know that the economy is sick. It really seems like Europe is on the edge to collapse. The banking system in the U.S is leveraged by 13 to 1, and in Europe the banking system is leveraged by twice; 26 to 1. Taken as a whole, European financial institutions have more debt than Europes entire GDP. To put that in perspective: Lehman bros was leveraged by 30 to 1 when it collapsed. You only need a 4% drop to wipe out all capital. All the central banks are printing money at the same time for the first time in our history. It they go for #1, Germany will probably leave the Euro, because they have a bad experience with Weimar and will not tolerate aggressive monetization. If the Fed push the button and print more money, the dollar will collapse, inflations will skyrocket as well as inflation rates and we will enter a dark period in the world and the capital markets. Europe as a whole is so big that if it collapse, it will affect the rest of the world as it is China`s largest trade partner. Accounts for 21% of U.S exports and the single largest economy in the world. That`s why Draghi want`s much more money into the banking system. What we are about to see now is that Europe is doing the same mistakes that Japan did in the early 90`s. In Japan, the policy makers failed to beef up banks capital cushions and to make them clean up their balance sheets. To boost the economy growth they needed to undetake structural reforms but they failed. The Japan ecperience, is currently happening in the U.S and Europe right now, and Europe is indeed heading towards a lost decade. Europe has failed to recapitalize its banking system. U.S. did a much better job recapitalizing its banking system. They started with the original stress test conducted by the Fed in 2009 which was more effective than the European version, and are now free from problems. Germany appears to be an exception to the rest of Europe, because it undertook structural reforms before the crisis hit. Important news today: Unemployment Numbers at 8:30am, Preliminary UoM Consumer Sentiment at 9:55am, Bernanke Speaks at 3:30pm.